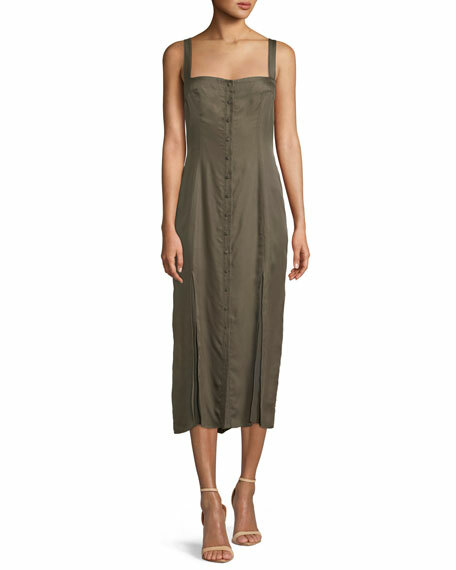 T by Alexander Wang camisole dress with rivets. For in-store inquiries, use sku #2371402. 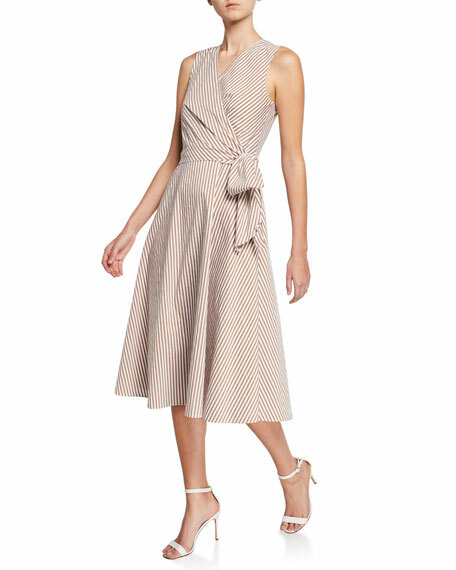 Cinq Sept "Alexa" midi dress. 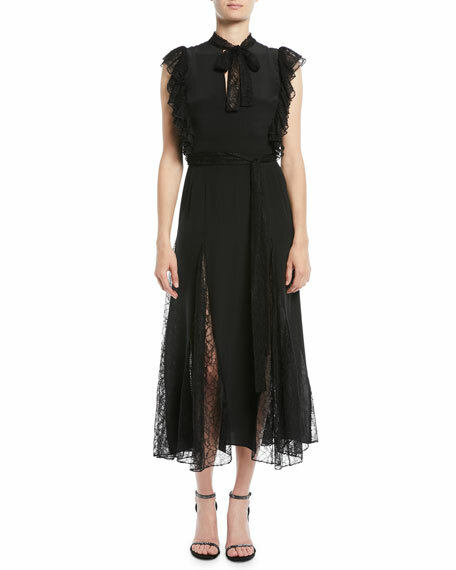 Square neckline; button front. Sleeveless. Straight silhouette. Front and back slits. Georgette insets. Slipover style. Cupro. Imported.